The Coelacanth is an ancient fish which was the biggest biological find of the 20th century. On December 23rd , 1938, the fish that was long thought to have gone extinct, was rediscovered (Coad, 1998). This is an amazing story because many years and many people were involved. 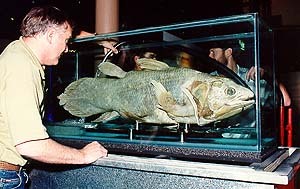 To read the whole story and to read about what a coelacanth is, click on one of the links below. 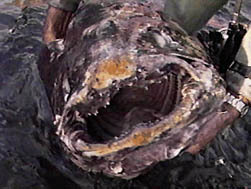 Discovery of the "Living Fossil"